. 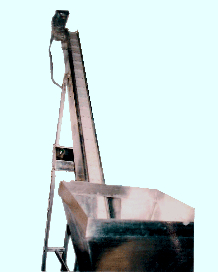 Elevator suitable for automatic feeding of caps to Cap Feeder of Screw Capping Machine.
. Cap Elevator is provided with a photo sensor to regulate the cap flow rate.
. Cap elevator picks-up caps from hopper placed at the ground level.